At the end of each year I like to look back and see what blog posts got the most love. I'm going to try and get up three separate posts - most viewed restaurants, most viewed products and most viewed recipes. This post is dedicated to the yummy places we visited. There were so many, but these are the ones that were most viewed by our readers and followers. Thanks so much for taking this tasty ride with us in 2017. Look forward to sharing lots more good food posts and pictures in the new year. I visited this spot with my husband while we were on a road trip to the Quad Cities in June. Such a fun nostalgic place, but super amazing food, too. Everything is made from scratch, like the delicious chicken salad sandwiches on freshly baked bread. 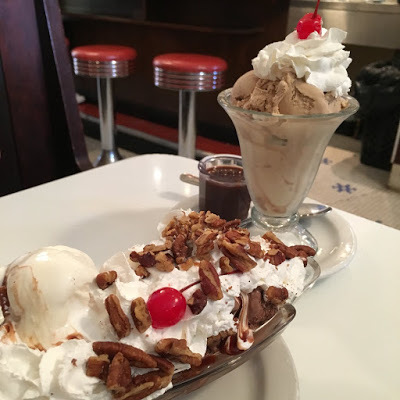 The ice cream is amazing - and don't think about skipping their house made hot fudge. It's something you must experience if you are traveling anywhere near Moline! It had way more views than any other post this year. Guess our foodie friends like their ice cream! Our second most viewed restaurant post was another one outside of Chicago. My dad moved to central Illinois - about half way between Peoria and Bloomington - at the beginning of the year to live with my sister. He had lived five minutes away for a dozen years so we saw each other often and went to lunch together at least a couple times a month. We decided we'd continue our lunch dates even though he was living about 2 1/2 hours away and I started looking for restaurants that were about half-way between him and I along I-55 in Pontiac and Dwight. 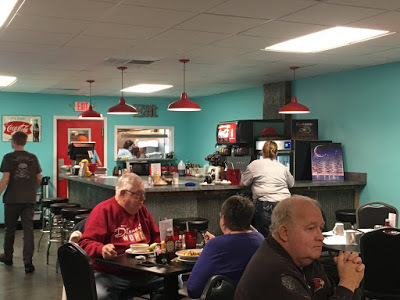 Our first lunch date after his move was at this cute nostalgic diner called Edinger's Filling Station in Pontiac, a town which Route 66 extends through, with a sizable menu of classic diner food. The biscuits and gravy were on point! Currently both sisters live in the burbs - Carrie in the south and Becky in the west. Since I'm in the south burbs and very close to the Indiana border, a lot of the places I dine at or grab a quick bite from are in Northwest Indiana. I adore this little bakery cafe located in Munster, Indiana, which is literally a stone's throw from Illinois. Even with my pathetic throwing arm, I could even throw a rock into Illinois from the storefront. 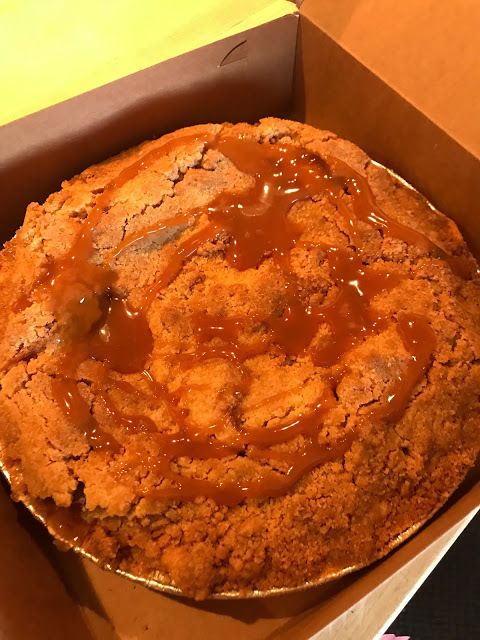 Anyway, the post was on the owner, Chris, the guy behind the pie - he does savory and sweet pies, lots of breakfast goodies, soups, salads, sandwiches. Just lots of homemade goodness. Next up is Saved by the Max, the fun Wicker Park pop-up with a Saved By the Bell theme, honoring the popular show that took place at Bayside High in the late 80's/early 90s. The Chicago Foodie Sisters has such a fun blast from the past at this place reminiscing about high school and our hair and what we wore -- and enjoyed the fantastic food that really impressed us. The post with the next highest number of views was one about a visit with my husband and sons to Hofbrauhaus in Rosemont. We've been there several times, but it was the first time bringing our kids. My late father-in-law was a native of Germany and he loved to go to dine at German restaurants - enjoying a big mug of Hofbrau (his favorite) with a plate of schnitzel or sauerbraten or rouladen or another German specialty. 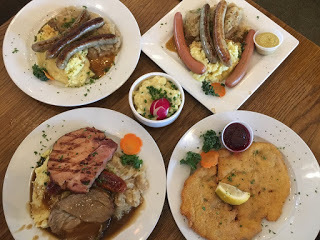 We figured it was time to introduce the boys to these German food traditions, so when we were visiting a show at the nearby convention center, we decided to dine at Hofbrauhaus afterwards. The best part is the live entertainment while you dine. If you have never been to Hofbrauhaus, it's a fun experience - one that emulates the German beer halls of Munich. The food is pretty amazing, too. So, I mentioned that I live close to the Northwest Indiana border and I'm only about 15 minutes from Purdue University Northwest in Hammond. 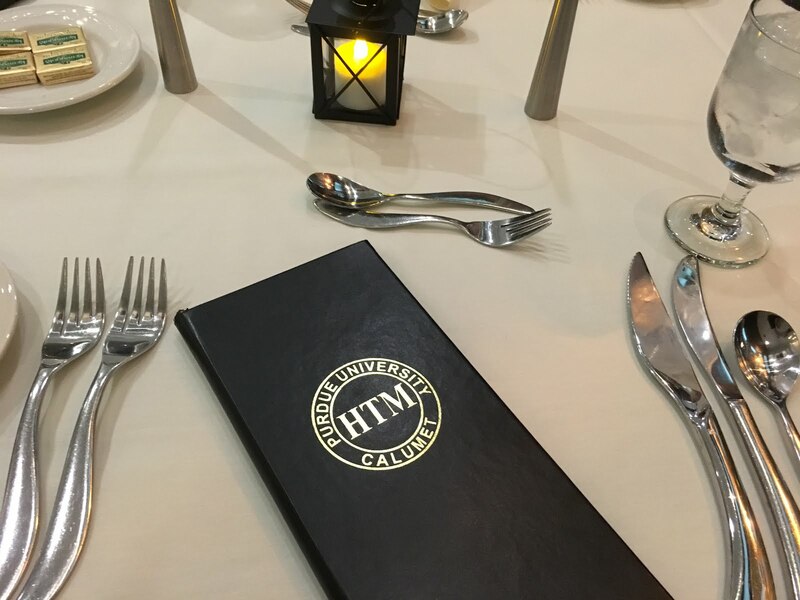 Years ago someone mentioned that they have a restaurant run by students - that is actually a nice, upscale experience designed to train students on how to manage a restaurant or prepare them for other jobs in the hospitality industry. Ever since my first visit, I really got hooked. The food is always magnificent - planned out by a professional Chicago chef - the atmosphere is lovely and I love interacting with the students. I try to make it there once each semester either for dinner or lunch (lunch is a little more casual). Reservations are needed for both and it can be tricky to get them - they book quickly. It's also crazy cheap for what you are getting - usually four or five courses for about $22. It's worth a bit of a drive -- or please take advantage of any college near you that has a culinary program. Such programs help the students develop experience and you get a great meal for a good price. I remember visiting College of DuPage's restaurant years ago, also, and was really impressed. A post on Goshen Brewing was also a very popular one on our blog in 2017. This was another road trip meal that we enjoyed as we were heading out from a little Christmas break getaway in Indiana's Amish Country. 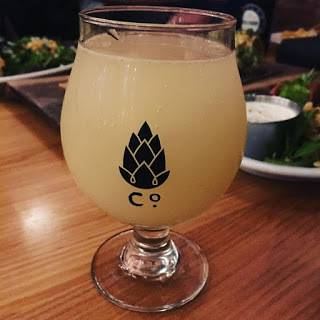 Whenever we travel, my husband always searches for a craft brewery in the area where we can sip on a flight and enjoy a meal. The food at this place really blew us away - it was casual but just so good. It was snowing like crazy as we ate and it was such a cozy experience. My husband still talks about it and considers making the drive (I think it was 3+ hours) to go back there. Should you be traveling that way, put it on your itinerary - totally worth stopping for even if it's a little out of your way. Our post on Bin 27 was another very popular post. It's another Indiana spot and it's one of the best meals I had all year. It's located in the former Venice Steakhouse space on Route 30 in Dyer, Indiana and is a meal that still makes me excited. That salmon. OMG. Anyway, hubby and I tried it out early last year and then returned with the kids and my dad for Easter brunch. It's part of a larger building, so doesn't really stand out as you drive by, but believe me - it's worth seeking out. If you somehow have never been to Calumet Fisheries, get in your car and head to this East side spot next to the bridge made famous by Jake and Elwood Blues (it's the one they jumped over in the Bluesmobilie in the movie The Blues Brothers.) It's not high class. It's really just a little shack. No where to sit. Take it and go. But best smoked shrimp ever - and they have a James Beard Award to prove it. We stopped in this past June. It was our 25th wedding anniversary, so I was taking hubby around to some of the places we went when we were dating. 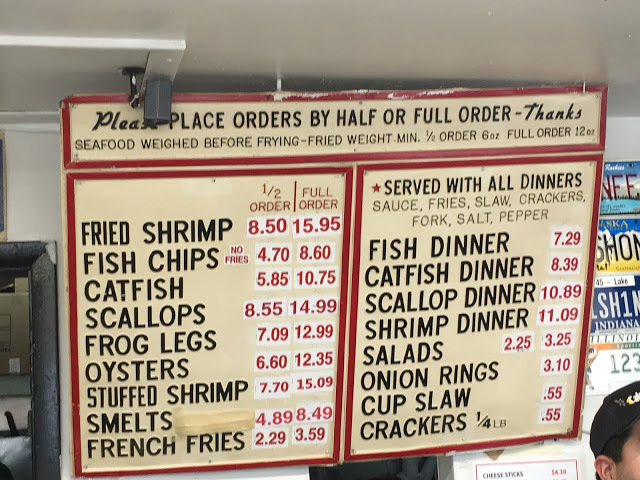 In the late 80s we made several Friday night trips to Calumet fisheries where we'd pick up smoked shrimp, drive over the bridge to Cal Park Beach and look out at Lake Michigan while he peeled my shrimp for me (now that's love!) Really...if you haven't been, please go!!!! Also getting lots of clicks in 2017 were posts on Brio Tuscan Grill in Lombard. Hubby and I were visiting to check out their limited time Flavorful Features menu. It was our first time there and we both really enjoyed everything. Scallops are my jam - and theirs were beyond awesome. One thing that is always on the menu that you must have if going there is the lobster bisque. Totally yummo! 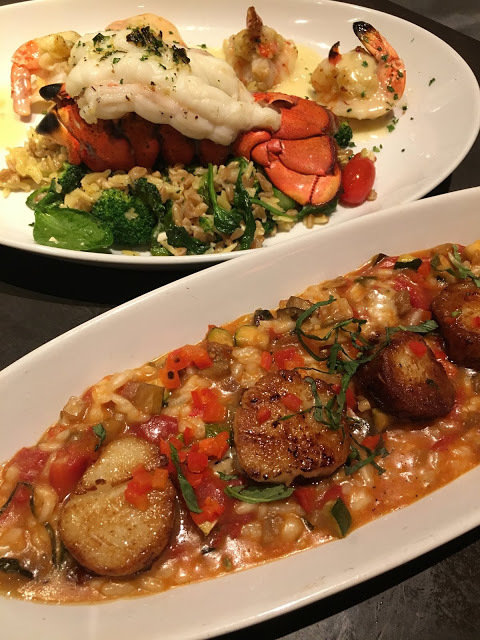 Lots of Italian classics, wonderful seafood, good wine selection, scrumptious desserts. I had such a fun time with my good friend Michelle at the opening of the Nando's Peri Peri in Hyde Park. 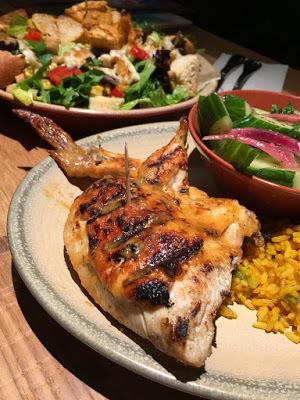 Neither of us had been to a Nando's location before but I had heard so much buzz about it for so long. Everything was so packed with flavor and we tried several items but I really want to go back and try like everything on the menu. Such a colorful lively spot, too, so it's nice to linger and enjoy the vibe. 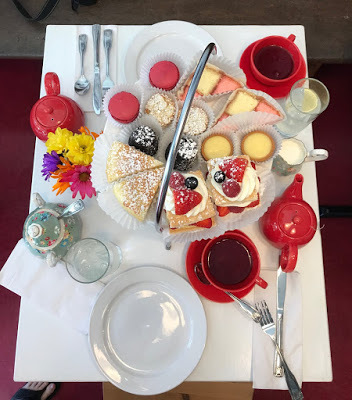 One of the foodie highlights of the year was afternoon tea at Bakewell Bakery in Flossmoor. I took the other foodie sis, Becky, there to celebrate her birthday. I had been to the bakery in downtown Flossmoor, right across from the train station, several times and have loved everything I've tried at this British bakery. I was so excited to finally get there to enjoy afternoon tea and all the goodies that go along with it. Their scones and macarons are simply amazing. And they have this banger sausage - freshly made for them with meat from al local farm with their family recipe - that is baked in a flaky crust that is one of the tastiest things your little mouth with ever try. I can't wait to get back there again. After we were there someone posed the question to me, "If you had to afford yourself one luxury each day - not money, but something you do for yourself, what would it be?" First thing to come to mind was afternoon tea at Bakewell. I wish I could treat myself to afternoon tea there every single day. I attended several media events for Cooper's Hawk this year and each got a hefty number of views. It's become one of my favorite spots to go for a good meal and I couldn't help myself and finally joined the wine club - I haven't had a wine there that I haven't loved. Their food is amazing and having had the chance to meet the founder, the master sommelier and many other members of the executive team, it's so refreshing to witness their passion and desire to give others a memorable experience. Also, I love the special events that are set up exclusively for their wine club members, like the one in the post that I attended in July. The dinner featured a wine that was a collaboration between Cooper's Hawk and Jean-Charles Boisset and it was such a lovely time. 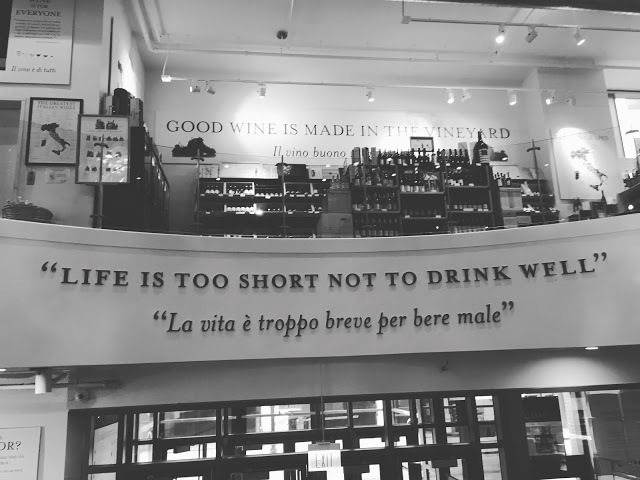 It took me a while to finally get to Eataly, but my first visit was nothing short of magical. 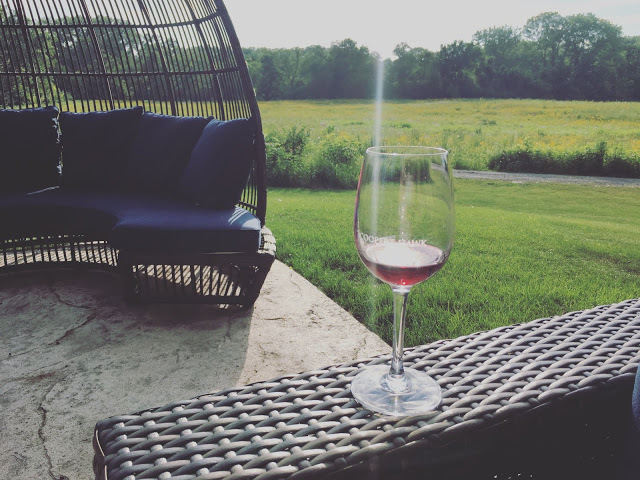 I was there for a wine seminar with my friend, MaryLynn and we had some sips and bites and then did a little shopping. It was absolute paradise for a cheese aficionado like me. 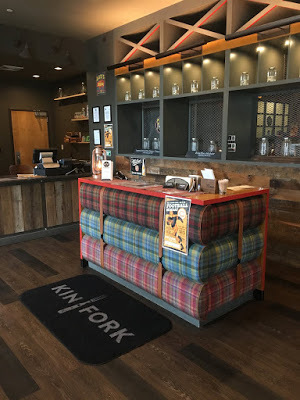 When the Bistro on Sterling opened this past spring, I covered the ribbon cutting for a local newspaper and when I saw the renovated space and heard about some of the menu items, I knew I would have to get there soon. My son had a few days off between final exams and his high school graduation and he joined me there for lunch. I've yet to go back for dinner...the specials I've seen look insane. 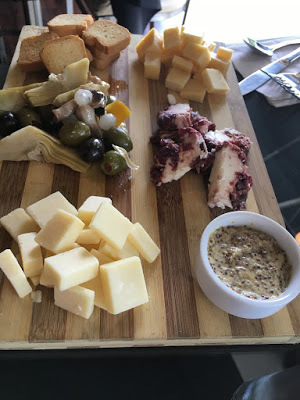 We had a quiet casual lunch starting with this cheese board that was magnificent. 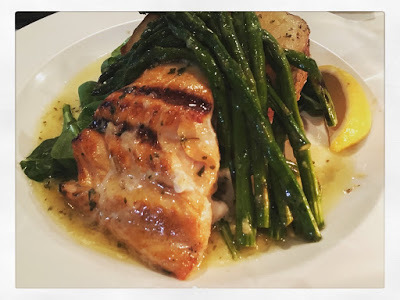 It's just a few doors down from Bakewell Bakery that was mentioned above, so if you're in the city, hop on the Metra to the Flossmoor stop and do tea at Bakewell, do a little shopping and then dinner at Bistro on Sterling. Then maybe cap off your eve with a pint at Flossmoor Station Brewery before hopping on the train home. Makes for a good foodie field trip! We ate at a lot of places this year and some of my favorites weren't in this group of the most viewed, so perhaps I'll have to also add a post of my favorites in 2017. There was so much good food. I hope you'll visit some of the spots above in 2018 - and be sure to interact with us on social media. Tell us about where you've been and what you've been eating. Share your pictures. We're all in this together! Spread some foodie love!